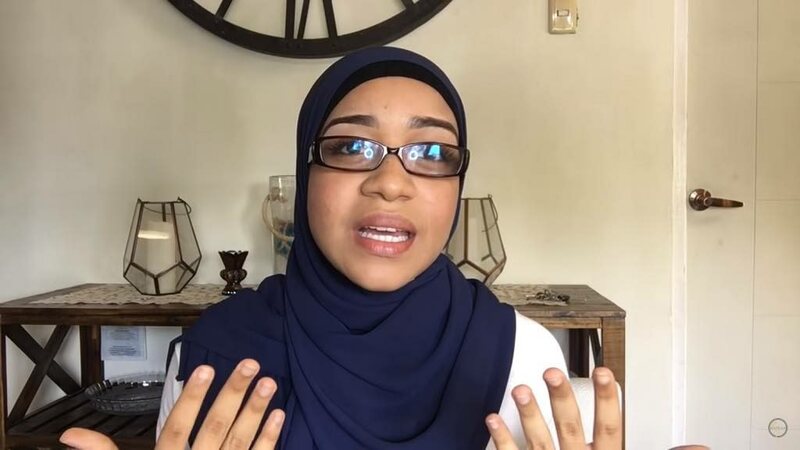 THE court will be asked to rule on the Maha Sabha’s ban on OJT teacher Nafesa Nakhid wearing a hijab at the Lakshmi Girls High School, Education Minister Anthony Garcia said at yesterday’s post-Cabinet briefing at the Diplomatic Centre, St Ann’s. He said he has received a report from the school’s principal on the incident and is awaiting one from the Maha Sabha, after which Attorney General Faris Al-Rawi will ask the court for a determination. Meanwhile, Garcia hit the ban as a “direct attack” on a person’s right to practice her religion and an abrogation of her rights, as he cited Justice Margot Warner’s 1995 ruling in favour of Muslim pupil Summayah Mohammed, after Holy Name Convent in Port of Spain had tried to stop her wearing a hijab. Garcia said since then it has been a rule that a pupil cannot be so restricted, as the TT Constitution in section four says an individual must be allowed to practice his or her religion. He made the point that Lakshmi receives Government funding and under the Education Act is defined as a Government-assisted school. Asked if TT’s educational Concordat allows a denominational school to bar a teacher on religious grounds, Garcia related the recent chain of events. He said Lakshmi School had asked the Ministry of Labour for an OJT to help in their Science department, after which Nakhid arrived at the school only to be told to remove her hijab as it violated the Maha Sabha board’s policy. Imbert recalled a 2008 case where Justice Joan Charles ruled that a female juror could serve on a jury while wearing a burka. Asked by Newsday if the court will now be asked to rule in a way that could be all-embracing of cases such as the 12-year-old Rastafarian girl, Kalifa Logan, in 2004 banned by the Roman Catholic-run St Charles High School in Tunapuna, Imbert replied “no” and explained the ruling would be limited to the hijab issue. Reply to "Garcia: Hijab ban heads to court"